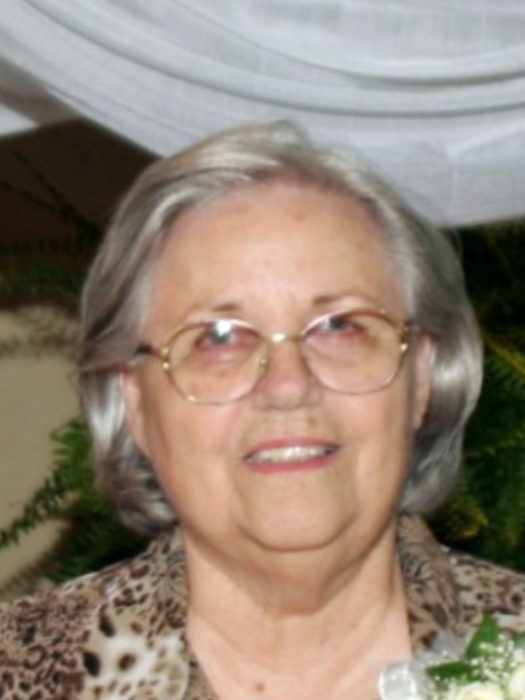 Bonnie Bea Miller Rankin, age 86, of Coleman, died Sunday, January 13, 2019, in Coleman County Medical Center. Funeral service will be held 2:00 p.m. Thursday, January 17, 2019, in Stevens Funeral Home Chapel with Sam Wilson and Bob Martin officiating. Interment will follow in the Coleman City Cemetery under the direction of Stevens Funeral Home. She was born Bonnie Bea Miller on December 19, 1932 in Gouldbusk, Texas, a daughter of Jesse James Miller and Hallie Mae Stanfield Miller. She grew up in Coleman and attended school here, graduating from Coleman High School, Class of 1949. On October 26, 1951 she married R. L. Rankin in Lovington, NM and he preceded her in death on July 7, 1973. Following the death of her husband, Bonnie, with the help of her boys, continued farming until 1996. She also worked in the office of the Coleman Livestock Auction on sale day, as well as working the night shift at Allsups and evenings at First Coleman National Bank doing the computer print-out. Bonnie was a relief mail carrier for Max Horne and the United States Post Office. She finally became the Rural Route carrier for Routes 1 and 2, from the Coleman Post Office, including Novice and Goldsboro. She was a member of the Elm Street Church of Christ. Survivors include her sons, Jay Lee Rankin and wife Shirley of Coleman, James Emmitt Rankin of Odessa, Terry Glen Rankin of Coleman; daughter-in-law, Tracy Lee Whitfield Rankin of Coleman; eleven grandchildren, Robert Dale Rankin and wife Tina of Coleman, Davia Farley and husband Shyler of Santa Anna, Jala Rankin and Jerry Bowen of Novice, Stacy Moore and Richard Gregory of Santa Anna, Richard Rankin and wife Haley of Hico, Keaton Rankin and wife Kelly of Ozark, Missouri, Derek Rankin and wife Heidi of Ozark, Missouri, Christopher Rankin and wife Ida of Normangee, Maverick Taylor of Doole, Melissa Rankin Johnson and husband Jason of Decauter, Stephanie Rankin of Kingsland; fourteen great-grandchildren, Allie and Zane Moore, Spurr, Jada and Skyler Farley, Blake, Jayton, and Kaymmon Rankin, Ryan Rankin, Cooper and Parker Rankin, Cash and Grace Rankin, Ryan and Roxie Rankin; great-great grandchild, Braydon; sister, Mary Rose Miller Thornton of Kenai, Alaska; brother, Stanley Miller and wife Lola of Plainview; brother-in-law, Edward Rankin and wife Kay of Coleman; two sisters-in-law, Jeannie Farris Miller of Alto, NM and Patsy Atkins Miller of Clyde; several nieces and nephews. She was preceded in death by her parents, Jesse and Hallie Miller; her husband, R. L. Rankin; her son, Derry Lynn Rankin; mother-in-law, Mandy Rankin; sister-in-law, Letha Willis, brother, Jesse Miller, Jr.; brother, Gaines “Bud” Miller; sister, Jimmie Mae Conroy. Visitation will be held on Wednesday, January 16, from 6:00 p.m. until 7:30 p.m., Stevens Funeral Home, 400 W. Pecan, Coleman. Since Bonnie was a strong supporter of the Coleman Senior Center, she asked that in lieu of flowers, memorials be sent to them at P. O. Box 785, Coleman, Texas 76834.